Popular company engaging in saving and investment products and services HDFC AMC is an Indian based company which was established in the year 1999. In length the abbreviation state (housing development finance corporation limited and Asset management company). This being a collaboration of two cooperates HDFC and SLI which is a well-known branch of standard life Aberdeen. This are big names in the investment world and has involve a lot of Indian investors and still going strong. Reports show the company has grown gaining profit each year. It has ranked among the most profitable companies in the year 2017 though this started in the year 2013. Trusting on numbers the figure shows an AUM of RS 2, 932.54 billion. This has shown gradual growth over the years thus being a promising deal for the future. Equity-oriented schemes which are 28 in number. They have liquid scheme three for now. Under one category they have 5 other schemes like the exchange-traded scheme, fund of fund schemes etc. To spice it up the company also has management portfolio for other sections which cater for families, corporates and other organizations. This has proven to be the biggest source of income for the company. It has given a good amount of RS 75.78 billion within short time of establishment. The company has kept good reputation and this has led many citizens to trust their services. HDFC AMC is always on the forefront making good income and surpassing everyone’s expectations. The company works will all products and offers services to all Indian citizens regardless of the class. It’s a promising investment company which hold bright future plans. 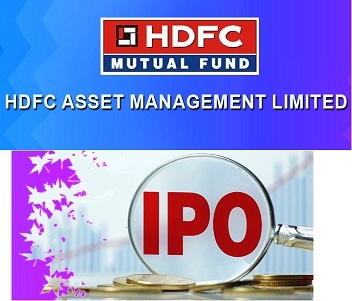 Who promotes HDFC AMC IPO? Bigger chunks of the company are held by the HDFC plus SLI as they have share which are quite the same. Though not much to show as they both work to give the best for the esteem client. Basically they stand to see progressive sale of equity shares. They aim to ensure the company gain better reputation and have great profit increment while serving the citizens. This will help expand the public market and help in the countries growth. This being an everyday thing market shares from the HDFC AMC are expected to grow and offer gains of 40-45%. The company is ready and giving fixed amounts of RS 1,100. This increasing the number of subscribers to 83 times. Some report show that HDFC AMC offered RS 1,739.00 on August 2018 which was higher than the given price of RS 1,100. This also going higher at the Bombay stock exchange with RS 1,810. Which is 64% of the actual prices. The IPO stands at 2,800.33 crore of the company. HDFC AMC has good progress in the stock market and promising to go higher.